Boon's passion is bonsai education—both learning and teaching. He had the privilege to train with one of the most famous bonsai masters in Japan. As part of his training, Boon helped set up and work every major Japanese bonsai show. His goal today is to share his bonsai expertise and knowledge with other bonsai enthusiasts through his teachings (see tips). He sponsors study groups and workshops across America. He has produced a series of training DVDs, exclusively available on this site. Personalized workshops and intensive classes are held at his studio in northern California. Boon gets great satisfaction when his students attain success. Several have become acclaimed bonsai artists and teachers in their own right. 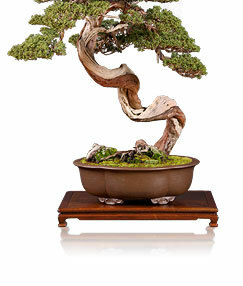 Boon has won numerous national and international awards for his work on bonsai. He is known for his innovative techniques, unique bonsai styling and creative teaching methods. Rather than operate a retail bonsai business, Boon prefers to work directly with customers and regular clients to find high-quality bonsai. He also consults on the setup and maintenance of public and private collections around the world.